A new hardware acceleration board that enhances video processing technology for intelligence organisations and law enforcement has been released by ASX-listed company BrainChip. The new acceleration board, BrainChip Accelerator, is an 8-lane, PCI-express add-in card that increases the speed and accuracy of the object recognition of BrainChip Studio software up to six times and enables 16 channels of simultaneous video processing on one server. The product, which uses very low amounts of power with each core consuming approximately one watt while processing up to 100 frames per second, is aimed at the law enforcement and intelligence industry, and offers defence applications for various platforms, according to BrainChip senior vice president Robert Beachler. "BrainChip’s technology is well-suited for many defence applications, including visual recognition systems for a variety of land and air platforms," said Beachler. "This is an active area for BrainChip, and companies or organisations that currently use or are in evaluation of BrainChip's products include French Homeland Security, French National Police, Rockwell Collins, Safran, as well as Mohegan Sun, a casino in Connecticut." 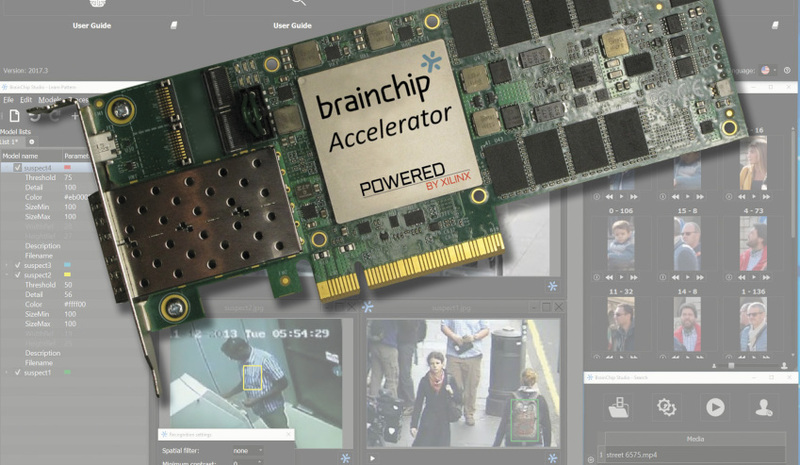 By processing multiple video streams simultaneously, the BrainChip Accelerator add-in card enables defence, law enforcement and intelligence organisations to search increasing amounts of video faster, with a higher probability of object recognition and lower total cost of ownership. The technology, which is able to function with a minimum image quality of 24x24 pixels, is capable of tracking and marking each face in real time and plotting a person’s movement — through recognising their face — across a number of video cameras. In a field trial, it processed over 500,000 facial images in 3.5 hours across eight cameras. BrainChip Studio uses an AI technology called a spiking neural network, a type of neuromorphic computing that simulates the functionality of the human visual tract. Powered by this technology, BrainChip Studio aids law enforcement and intelligence organisations to rapidly search vast amounts of video footage for identifying patterns or faces.